Leinster's season has entered a strange sort of twilight zone as they encounter teams with plenty to play for having already achieved their own goal of a home PRO14 semi-final. Tonight, they welcome Benetton back to the RDS a year after the Italians savoured a famous Dublin win. Kieran Crowley's men are in a four-way battle to join the champions in the play-offs and he has a team packed with internationals. Leo Cullen's priorities lie in getting game time into some legs while resting others and so he makes 13 changes to the side that beat Ulster in the Champions Cup quarter-final last weekend. He is hoping players put their hands up for selection in the knock-out games to come, even if increased competition is driving the trend of players leaving for rival provinces. Jack McGrath, who starts tonight, announced his decision to head north this week and Cullen was circumspect about the disappointment as he opted to focus on the pride he takes in the eastern province providing such an amount of talent across Irish rugby. "What are my thoughts? A little bit mixed, I'd say, depending on the day," Cullen said of the switch. "I understand the move from Jack's point of view. It's not an easy thing for him to have chosen to do. "For us as a club, when things are going well I think there's lots of eyes get drawn on players, coaches, backroom staff, which is a positive, because it means there's lot of things going well here. "We just need to keep investing in the quality of player we have. 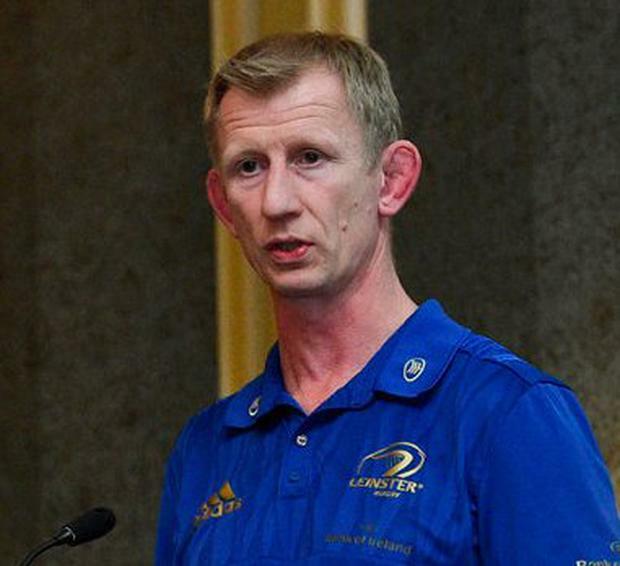 "When it doesn't work out for players for whatever reason, players go off and play for another province and it's a positive reflection on the work that goes on at all the underage levels at Leinster. "We want to produce most of our own players, we have a couple of guys from outside and it's important that we're not 100pc all Leinster because then you'd have a narrow focus as well. "The experience that we get from outside, it's hugely important that they are constantly adding to the group. "But we'd love to be able to sit here and say, 'isn't it amazing that 60pc of Ulster's players are from Leinster', another 50 over in Connacht and another 50 over in Munster...' that'd be an amazing reflection on the work that goes on here. "We just need to keep focusing on what we do in producing good players, because we want to see quality players come through the system and make a career out of the game. "That's what we're trying to do, trying to improve players. "Sometimes if you focus on a lot of players it gets very competitive, at some stage you can't keep them all. "But for us as a club, it's more important that we focus on how we produce quality players, have good people and hope they enjoy the experience. "It's a positive that people are looking at our players, wanting to sign them." Cullen is hopeful of having Johnny Sexton, Devin Toner and Robbie Henshaw back for next week's clash with Glasgow Warriors ahead of the semi-final against Toulouse, which puts more pressure on tonight's starters to stake their claim. They can't take a result for granted given the Italian side's excellent season, but they should have enough in their locker to get the job done and keep the momentum going. LEINSTER - B Daly; F McFadden, C O'Brien, J Tomane, J Lowe; N Reid, L McGrath (capt); J McGrath, J Tracy, A Porter; M Kearney, S Fardy; J Murphy, M Deegan, C Doris. Reps: B Byrne, P Dooley, M Bent, J Dunne, S Penny, H O'Sullivan, C Frawley, J O'Brien. BENETTON - J Hayward; R Tavuyara, M Zanon, L Morisi, M Ioane; T Allan (capt), D Duvenage; N Quaglio, L Bigi, M Riccioni; I Herbst, F Ruzza; S Negri, A Steyn, T Halafihi. Reps: T Baravalle, D Appiah, S Ferrari, M Lazzaroni, G Pettinelli, T Tebaldi, A Rizzi, A Sgarbi.